Still no invitation letter from Buckland, so I haven’t applied for my visa yet. I’ll be getting a business visa first, then getting my actual work permit in China a month or so after I get there. Anyhow for the time being I should just wait for my visa materials and hope for a good outcome of my final semester of university…. Also, I found the blog of another future Buckland teacher for August, and I put a link to her blog in the side bar! So the other day I realized how petrified I am of standing up in front of a crowd and speaking. I’m thinking this teaching thing is going to be a little scary at first, but I’ll have to get used to it fast. Also, I have no idea how to teach so I’ve been looking for all kinds of things on the internet….lesson planning, different activities, teaching tips, etc. etc. etc…. One of the sites I found had all these awesome pdf’s that I think will come in really really useful. The more I read, the less scary it seems….it seems like all kinds of people do this, so why not me? I still don’t know the school I’ll be teaching at, much less the age group and language level. I won’t actually know what city I’m actually going until I get to Yangshuo and do the training. I’m hoping I can go to Nanchong in Sichuan, or Anren, Hunan or Fujian, or even Suzhou. I’d go anywhere really…. So last Saturday I finally decided it was time to get my documents together and send them to an agency in China to apply for a job teaching English. I had previously looked around for some teaching agencies, found a few and decided on Buckland Group, which seemed the most legitimate out of the bunch. Well, I got together my documents and e-mailed them in. The website said I would need to wait about three days to get a response, but that Sunday I got a letter back telling me I had been accepted and I needed to review, sign and return a contract, and then complete the application for a work permit. All this has been done so incredibly fast. 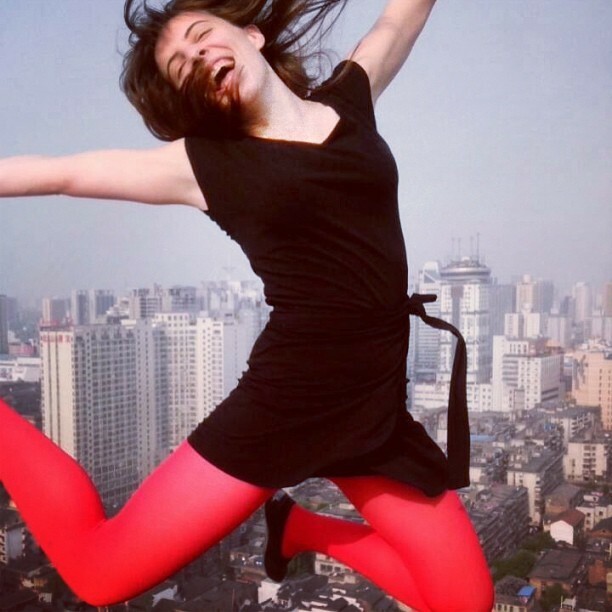 Last week I had no job and was wondering what I was going to be doing after I graduate in June, and now this week I’ve signed a contract and am now waiting for documents with which to apply for a visa….and slurping up any information I can find on China and teaching English.